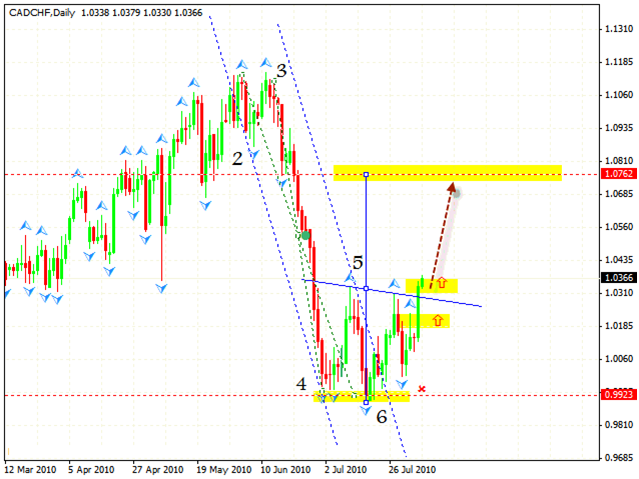 In case of the EUR/USD currency pair, we should expect a correction to the level where the 5th point of reference is formed, the level of 1.3030-1.3010. 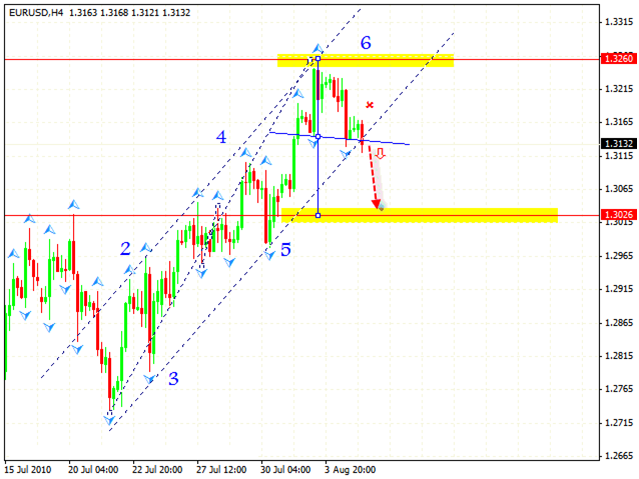 That’s where we can start buying with the target in the area of 1.3468. If you look at the forex online trading chart more carefully, you can notice a formed “head & shoulders” reversal pattern. Here it can be clearly seen that the price has completely formed rising pattern and we have a price pattern at the top of it. One can try sales with the target in the area of 1.3026, which is the same as the spot where the 5th point of reference is formed. We can either wait for a fall and start selling from the specified levels, or try the tight stop sales. 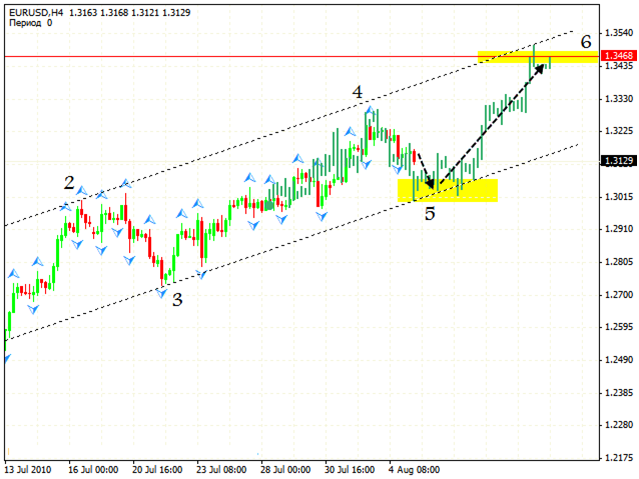 In case of the GBP/USD currency pair we have a situation similar to the previous currency pair. 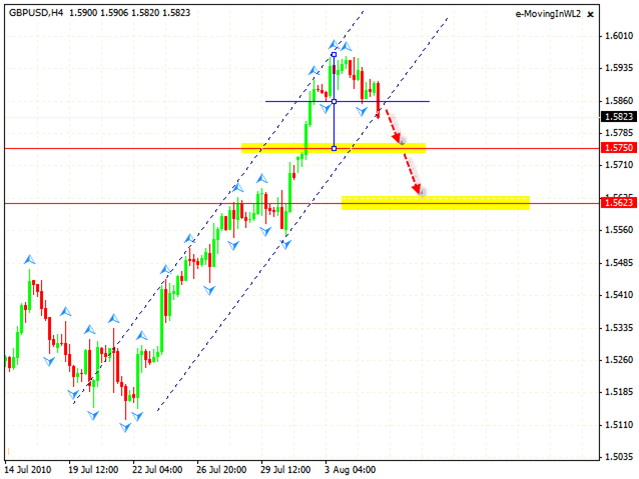 We expect the rate to fall into the area of 1.5595. 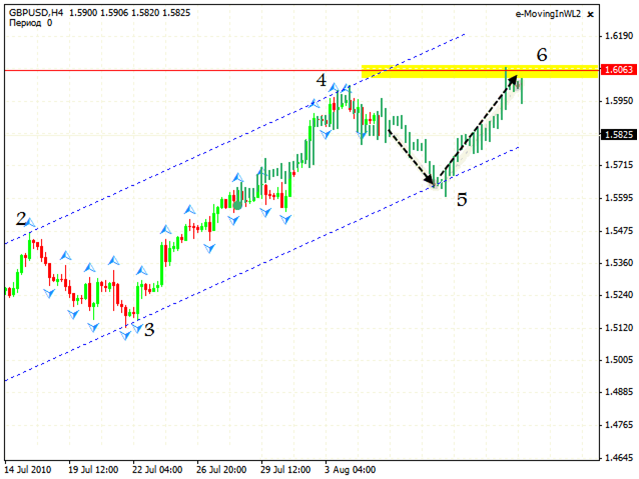 We will try to buy starting from the lower side of the channel with the target of 1.6063. Here we also have a formed “head & shoulders” reversal pattern; one can either sell the pair or ignore the pattern, because it is against the main trend and probably will not be able to reach the specified targets. In one of our last reviews, we discussed the CAD/CHF currency pair. I remind you that we had descending pattern formed and reversal patter forming at that time. Currently, the price has broken a neckline, which is a sign of continued rising trend. Those, who started to buy earlier, can move stops into the black and even try to increase the amount of long positions.